From being labeled by the British as having some of the worst slums in the world, public housing in Singapore has become one of the most successful in the world and has been awarded 3 UN awards over the last 25 years. Come on this tour with our guide Charlotte Chu and learn about the hows and whys of public housing policies in Singapore. 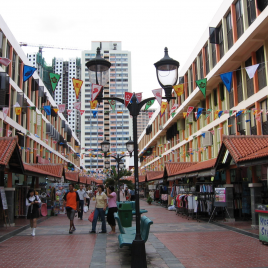 On the first part of the tour, we will be in Toa Payoh, one of the first public housing projects in Singapore, where we will visit the HDB Hub and see mock up of the various apartments and learn about why these apartments are considered as marriage ‘propositions’! 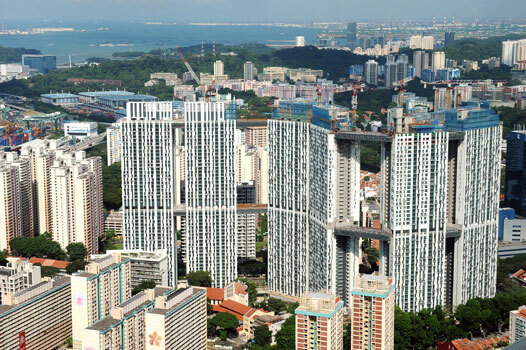 On the second part of the tour, we will visit the tallest public housing in Singapore and the world, Pinnacle@Duxton. The award winning development features the world’s two longest sky gardens. One of the highlight of the tour is to see the inside of a 4 room HDB flat within the development! We will also visit the sky bridge on the 50th floor where you will get a wonderful view. In front of Toa Payoh Library, 6 Toa Payoh Central. The nearest MRT is Toa Payoh. Please note : We will travel from Toa Payoh to Cantonment Road on the MRT, therefore please bring your EZ link card. Please note that the ending point is at Cantonment Road. Please sign up early; bookings will close on Tuesday, 6th November 2018. A minimum number of participants is required; if it is not met registration will be refunded. Please be advised that we have to charge the full amount in case cancellation will be done after deadline or no show.